A statue of virtue in terms of luxury, the new Mercedes-Maybach S 560 4MATIC came into the world to stand tall in front of its counterparts, exactly when the world thought it can’t get any better. Powered to float above the ground by a V8 engine with 469 HP (345 kW) and 700 Nm of torque, the ultimate Maybach variant tops the automotive world of exclusivity. Looking beyond the subtle mid-life cycle update, the deluxe sedan comes with an upgraded front with extensive use of chrome trimming, highlighting the exceptional status of the sub-brand. The Maybach logotype proudly sitting between the louvres of the radiator grille also stands as a new feature. 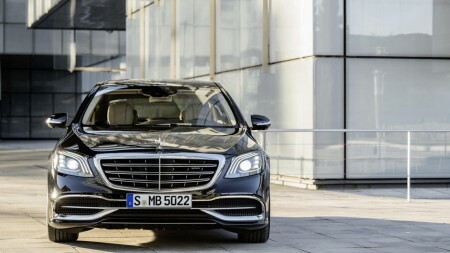 Powerful air intakes, a wide bumper: the striking front gives the new Mercedes-Maybach S-Class an impressive presence. In addition, the rear is equipped with LED lights, including closing lights in crystal optics, which provide a characteristic design day and night. Also new: a final lighting stage during unlocking and locking plus three horizontal pairs of lights. 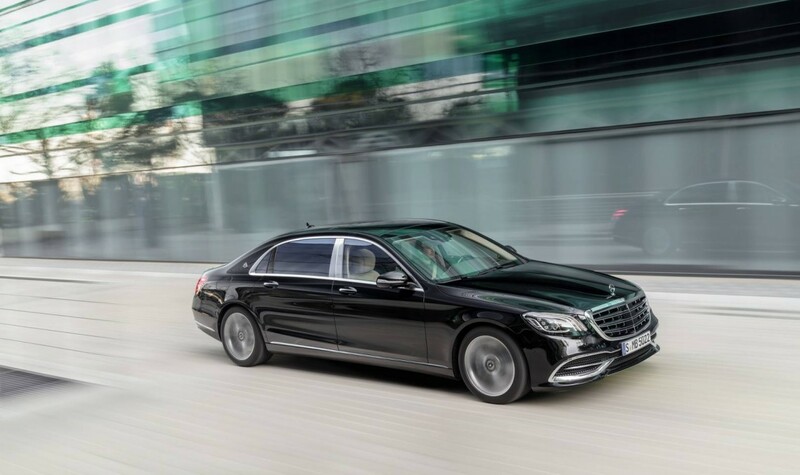 The elongated fine bonnet of the new Mercedes-Maybach S 560 4MATIC model shelters one of the world’s most economical V8 petrol engines, 4-cylinder unit that boasts a landmark technology, capable of providing an official consumption figure of 9.3 l/100 km and 209 g/km in CO2 emissions. Cylinders are simultaneously deactivated under partial load with the help of the CAMTRONIC valve-lift adjustment system for lower gas-cycle losses and higher efficiency. The S 560 lays on the road 469 HP. By the Maybach tradition, besides luxury and comfort, safety is paramount. 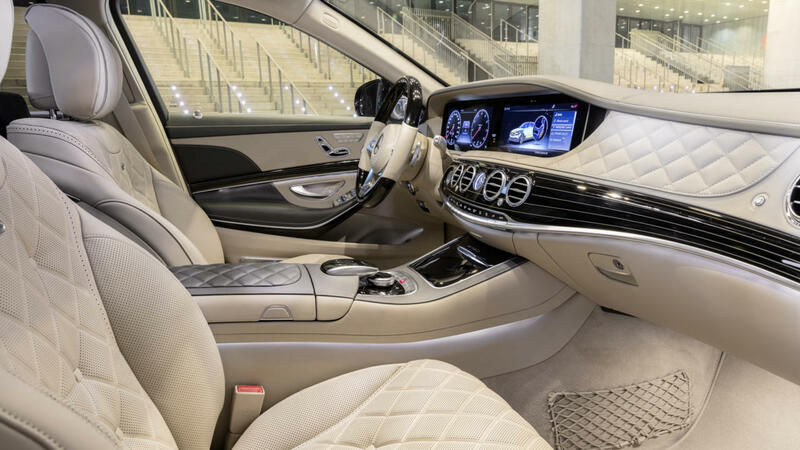 The Mercedes-Maybach S 560 4MATIC, based on the 2018 Mercedes-Benz S-Class comes with Intelligent Drive system, combining the highly developed assistance systems and providing the vehicle for the journey ahead with the help of intelligent map data. DISTRONIC Active Proximity Control and Active Steer Assist now ensure even more comfortable support for the driver to keep a safe distance and steer. The speed is now automatically adjusted ahead of curves or junctions. The “Assistance Graphics” menu of the instrument panel shows the driver at one glance which assistance functions he selected and to what situations the systems are currently responding. Unmistakable icons provide him with information on the screen as well in the head-up display. All functions are now controlled from the steering wheel. The high-resolution widescreen dashboard and a wireless charging system for smartphones display real-time information before the passengers who constantly need to be connected in order to take important decisions that may change the face of the world as we know it. The wide-screen cockpit integrates a large display with virtual instruments in the direct field of vision of the driver, as well as a central display above the center console. The fully digital cockpit gives the driver the freedom of choice between three different display styles and also configure the information and views relevant to him at will. Having made its debut at the Shanghai Motor Show this past spring, the Maybach shows its true personality once you step inside. From the exclusive leather upholstery to the decorative elements of fine wood – it simply cannot get any better than that when it comes to satisfying all sense of the precious passengers. The chauffeur package additionally offers generous legroom in the rear. The optionally available ENERGIZING Comfort Control is a world-first entering series production and allows all passengers to travel relaxed. It combines comfort systems such as THERMOTRONIC, massage ands fragrancing to create similar to that of a spa facility right on the rear bench of the limousine. It uses specific comfort functions as well as light and music moods and allows customers to configure a specific wellness set-up to suit their need. The programmes are visualized on the head unit with colour graphics, and backed by suitable music. ENERGIZING Comfort Control also incorporates the ambience lighting, which is harmoniously tailored to each of the individual screen designs. The light stages the interior like a work of art by composing colour worlds from different colours. 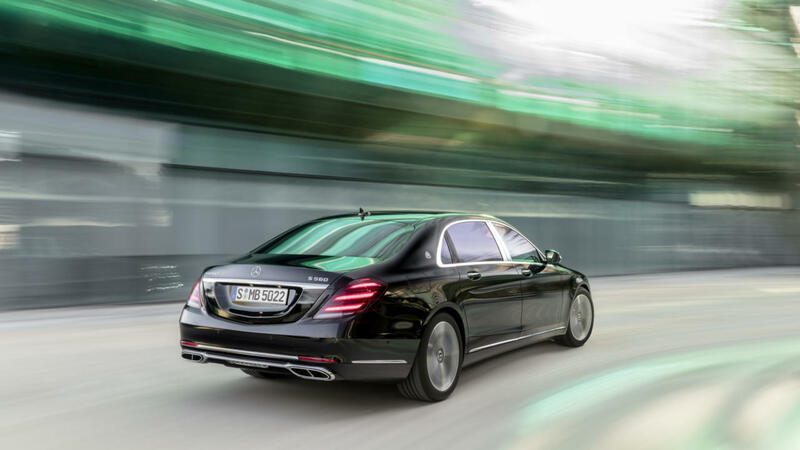 The 2018 Mercedes-Benz S-Class detailed right HERE!